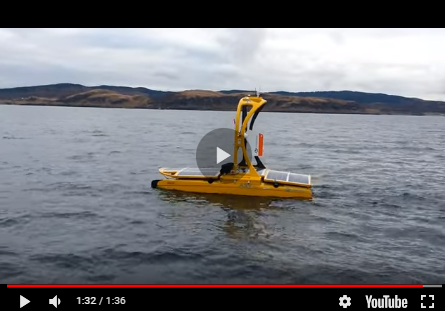 Kongsberg Maritime has announced that Swire Seabed of Bergen, Norway has ordered a HUGIN AUV System configured for commercial survey applications. The Swire Seabed HUGIN AUV System is rated to 4,500 metres and equipped with Kongsberg Maritime’s HISAS 1032 Synthetic Aperture Sonar and EM2040 multibeam echosounder. Other payload sensors integrated in the Swire Seabed HUGIN AUV include the CathX Ocean 48.5-degree field of view still image camera and laser profiler, a sub-bottom profiler, magnetometer and turbidity sensor. To make the best use of the extensive payload sensor suite, the Swire Seabed HUGIN also includes Kongsberg Maritime’s automatic pipeline tracking solution, which utilizes the HISAS Synthetic Aperture Sonar or EM2040 multibeam echo sounder to track alongside or above a pipeline, to conduct survey and inspection tasks. The HUGIN AUV System is containerized and designed for simple mobilization. Everything for day-to-day operations is installed in an ‘AUV van’ including the launch and recovery system (LARS). The Swire Seabed HUGIN includes a new LARS designed and manufactured by Kongsberg Evotec for high sea state and high freeboard operation of AUVs.